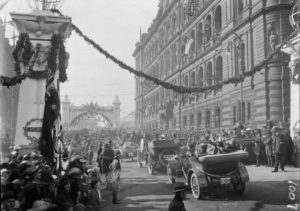 Peace Day celebrations, Martin Place, Sydney, Arthur Ernest Foster, November 8, 1918. Image courtesy Mitchell Library, State Library of New South Wales. Commander-in-Chief of the Allied Armies in France, General Ferdinand Foch, lays down the terms of armistice to six representatives of the German government at a railway siding in a forest at Compiègne, 90km north of Paris. The terms include German evacuation of all occupied territories, an Allied occupation of Germany west of the Rhine River, surrender of weaponry, submarines and battleships, and indefinite continuation of the naval blockade. Alban Peter ‘King’ O’Malley. Image courtesy Dinah Fisher. Mr AP O’Malley, of the clerical staff of Bedford, Taylor and Weston, received a wire on Saturday night to proceed to Sydney and report himself for duty. On 4 September 1915 at the age of 26 years and 6 months King attested at Sydney, New South Wales, and joined the 1st Australian Imperial Force. On 24 September King was farewelled by the OP (Orange Players) Club and was presented with an inscribed silver cigarette case. He was attached to the Artillery which was located at Paddington. There he was offered a permanent clerical post in the barracks. King, however, preferred to be in the firing line. King’s unit embarked from Sydney via HMAT RMS Osterley on 15 January 1916. The Leader reported that both King O’Malley and Gordon Lindsay were lucky enough to be able to travel via this palatial ship and were spared the “inconveniences of a congested trooper to carry them over to the big argument”. In Cairo King was taken on strength with the 1st Divisional Artillery Column. On 22 February 1916 he was appointed Acting Corporal. By 19 May 1916 he had been transferred to the 21st Army Brigade in France. His military record does not record King’s overseas activities in depth, however snippets have been gleaned from articles appearing in the local press back home. Dr Arthur Edmund Colvin met up with King in September 1917 and reported that King was well and sent his regards to those left behind. 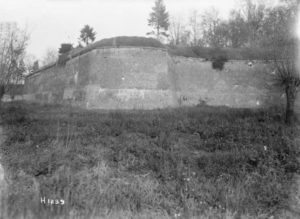 In August I was transferred again to an Artillery Battery …. I was fortunate in joining a unit in which another Orangeite was also contained. Sitting in a little home about the size of a spacious dog’s kennel was a familiar figure, stripped to the waist. He was busy – the occupation in general among soldiers; it could well be called a pastime. He was searching closely portions of his garment. I asked him if he would mind giving me one if he caught two. He looked up in surprise. It was A P (“King”) O’Malley ….. Gunner O’Malley, number something, hardened soldier, cheerful, enthusiastic – an Empire-builder! Again, King’s war record did not report any form of injury. The Leader in July 1916, however, recorded that he was with the Forces in France and had been gassed and wounded in the leg. The injury must have been slight as it was also reported there was no cause for concern. In what appeared to be an unblemished career, Corporal O’Malley forfeited three days’ pay in August 1917 for being absent from parade in France. 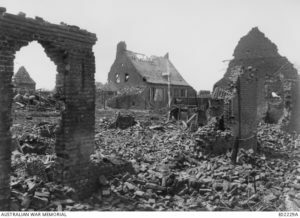 On the morning of the 29th September, 1918, the 117th Infantry Regiment (American) attacked East and South of Bellicourt near St Quentin Canal. Owing to heavy traffic and shelling the telephone wires were cut and communication with the 59th American Infantry Brigade practically ceased. Sergeant O’MALLEY and Gunner WILKSCH immediately went forward and patrolled and repaired the lines, and worked continuously on them during that day and the next night. Their work was done so well that they were at times the only avenue of communication available to the 59th American Brigade. They worked conscientiously and energetically with the sole object of opening up another avenue of communication for the Brigade, at a period when accurate information was not forthcoming. They set a fine example of devotion to duty. Ruins of the village of Strazeele, April 1918. Image courtesy Australian War Memorial. The WE Agland RSL MBE Memorial Museum in Orange holds a copy of King’s Recommendation for the Military Medal, the Army Orders where he was awarded the Military Medal, his Certificate of Discharge and identity discs. King O’Malley spent a short time in Britain before embarking on 22 January 1920 for return to Australia. He received his formal discharge from the AIF on 10 June 1920. Alban Peter O’Malley was born in Narrandera in 1889, the son of Peter and Mary Ann O’Malley. He was one of six children born to the family, five daughters and one son. His father was a farmer and a hotel licensee for most of his life. Peter snr’s obituary appeared in the Narrandera Argus in 1931; it noted that Peter O’Malley jnr was nicknamed “Bossie”. 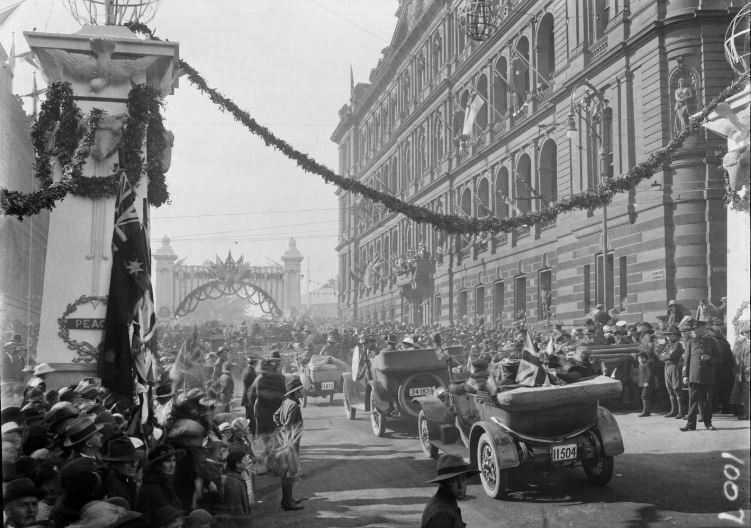 Alban received his education in Narrandera and the surrounding district and then went to Brisbane. In 1912 he came to Orange. At that time there was a famous Brisbane parliamentarian King O’Malley at the height of his career. His Orange associates were quick to dub him “King” because he had come from Brisbane. After his return from the war King married Maud Corbett in 1921 in Sydney. They had five sons, Owen, Dennis, Tony, David and Terry. Mr O’Malley returned to Orange in 1924 where he took up a position with Mr J Gordon Leeds, a stock and station agent. He remained there until he started his own business in Lords Place in 1927 – AP O’Malley & Co.
Mr O’Malley was active in local affairs. He was appointed organising secretary for the “Back to Orange Week” in 1929 and was a foundation member of the Canobolas Club. In 1936 he and Mr J Gallagher formed the first Orange Building Society. 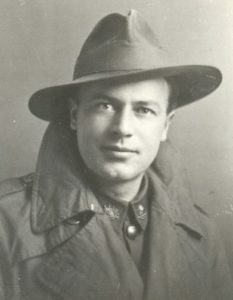 He was secretary of the Orange Branch of the Liberal Party and very active in local RSL activities. He was also a member of the Real Estate Institute. His interests stretched to amateur theatre. In 1908 he was on the committee of the Eisteddfod Society, even having a part in the play Aladdin. He was a member of the OP (Orange Players) Club which performed in the old Australia Theatre in Lords Place. Alban Peter ‘King’ O’Malley died in Orange Base Hospital on 26 October 1963 at the age of 74 years. He was buried in the old Roman Catholic Section of the Orange Cemetery. His wife Maud died in 1987 and was buried next to him. William Henry Peppernell was born in Cowra in 1887. He was the eldest son of Henry Peppernell and his wife Annie (nee Stanton) who had married in Victoria in 1885 and resided with a large family at Kerr’s Creek via Orange. William, aka Billy, attested at Lawson on 7 November 1915 and was one of the participants in the 1915 Coo-ee March from Gilgandra to Sydney. Sergt. Fern M.I.A. 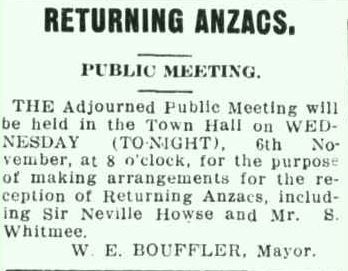 addressed a small gathering at Hermidale, and in answer to an appeal for recruits, Mr Charlie Hortle volunteered to go with Mr W Peppernell, who had enlisted the day before. Cheers were given for Mr Fern and the two local recruits. Hermidale was not far from Canbelego where William was working as a railway gauger. He was granted leave from the NSW Railways to go to war. William formed part of the Roll of Honour reported by the Canbelego Recruiting Association and was mentioned in various country newspapers. William’s twin brothers, Frederick and Henry, also enlisted in January of 1916. The three brothers formed part of B Company 30 Battalion and embarked together on HMAT A72 Beltana on 13 May 1916. The ship arrived in Devonport on 9 July 1916. On 22 November William embarked at Southampton for overseas service in France. My brother F Peppernell went out with me in the carrying party for the Messines advance. I saw him last about 30 yards in front of me. The enemy were sniping us and I told him to take cover. He got into a shell hole and I did not see him again. I enquired at the Clearing Station but could hear nothing of him. I have since heard from home in Australia and he had been killed. On 12 October 1917 William was admitted to Cheltenham hospital in England suffering a gunshot wound to the right thigh. He returned to France on 3 January 1918 and was appointed Lance Corporal on 12 March 1918. As with his brother Henry, he was transferred to the 36th Battalion when the 30th had been disbanded. On 3 June 1918 he was wounded, this time a gunshot wound to his right arm marked as “severe” on his records. He returned to England and was admitted to Horton County of London War Hospital at Epsom and convalesced at Sutton Veny. He took no further part in the war and returned to Australia via Orsova on 3 March 1919. For conspicuous gallantry and devotion to duty. Previous to the launching of the counter-attack by his Battalion on the 4th April 1918, and when the enemy was advancing in force, L/Cpl Peppernell went forward under heavy fire and located the enemy, affording valuable information to his Company Commander which enabled him to avoid heavy casualties. Mr W Peppernell, who for the past couple of years had charge of the per way gang on the Gilmore to Batlow line, has been transferred to Marrar, on the Junee-Narrandera branch line, and left Tumut of Friday last. In 1927 William married Ethel A Butler at Tumut, where they settled. William died there in 1952. Ethel outlived her husband by eleven years, dying in 1963. William Henry Peppernell, Service No 541 is remembered on the Australian War Memorial Nominal Roll and on the Roll of Honour at Kerr’s Creek. President Wilson informs Germany that armistice discussions can begin on the basis of his Fourteen Points as per their request on 4 October, but that an armistice must be secured through General Ferdinand Foch, Commander-in-Chief of the Allied Armies in France. On 16 January 1919 John Grenfell Pascoe, a driver with the 6th Australian Corps Troops Mechanical Transport Company, travelled from France to England on furlough. Peace had been declared less than two months earlier. Driver Pascoe had seen two and half years’ active service was awaiting transportation home to Australia. Ten days into his furlough John was admitted to the Australian Auxiliary Hospital in Dartford. He was experiencing severe headaches and pains in his back and legs. John’s temperature rose rapidly following his admission and he developed a cough. On 29 January it rose to 105.2ºF (40.6ºC) and he began to expectorate blood. He died at 5am on 31 January 1919; the cause of death was noted as influenza and pneumonia. John was 44 years old. The deceased soldier was accorded a full Military funeral, Firing Party, Bugler, and Pallbearers in attendance. The coffin was draped with the Australian flag, and borne to the graveside, where the Last Post was sounded and the burial service conducted by Chaplain the Rev Crotty, C of E of the AIF London. Administrative Headquarters AIF London were represented at the funeral. John was born in Lucknow in 1874. He was one of 15 children born to Thomas Henry Pascoe and Hannah Ellis nee Bothera. Five of John’s siblings died during infancy. Thomas and Hannah had married in Cornwell in 1855 and migrated to Australia in 1856. They settled in Castlemaine, Victoria, but moved to Forbes in 1862 and Lucknow in 1867. Thomas became the manager of the Phoenix Mine at Lucknow, and, in 1887, purchased the Perseverance Hotel. John was educated at Orange Public School where he served in the cadets. In 1900 John married Eva Welsh in Orange and their only daughter, Violet Ellice Grenfell Pascoe, was born in 1901. By 1916 John and his family had moved to St Peters in Sydney, where he was employed as an engine driver, presumably with the railways. John enlisted on 2 May 1916 and embarked for overseas service on 22 August. He disembarked in Plymouth in October 1916 and undertook further training with the Australian Details No 3 Camp at Parkhouse and the Pioneer Training Battalion at Perham Downs before proceeding to France in late February 1917. In June 1918 John was admitted to the 1st USA General Hospital, France, with a malignant ulcer of the gum. He received two weeks’ treatment and was transferred to the 1st Convalescent Depot, where he spent almost two months recovering. Driver Pascoe rejoined his unit in late August 1918. He continued to serve without incident until being struck with influenza in January 1919. In 1923 the Anzac Memorial Avenue of trees was planted along Bathurst Road to commemorate fallen WWI soldiers. A tree was planted in honour of “Pte JF Pascoe”, presumably John. It was donated by Joseph Pascoe. Very few of the trees are still standing today. 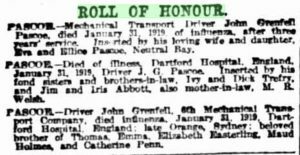 Sadly, John Grenfell Pascoe was not the last serviceman from the Orange district to die post-armistice from disease or injuries. Two other men followed him: Thomas Reuben Haydon on 6 February 1919, and George Frederick Reed on 7 March 1919. 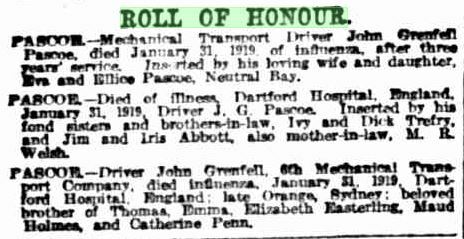 John Grenfell Pascoe‘s death notice, Sydney Morning Herald, 17 February 1919, p6. A hero’s welcome was recorded in the Orange Leader on Wednesday 10 September 1919 for Private Stanley Fitzharding Leslie Lawson and Corporal Henry (Harry) Peppernell when they returned to Kerr’s Creek at the end of the First World War. 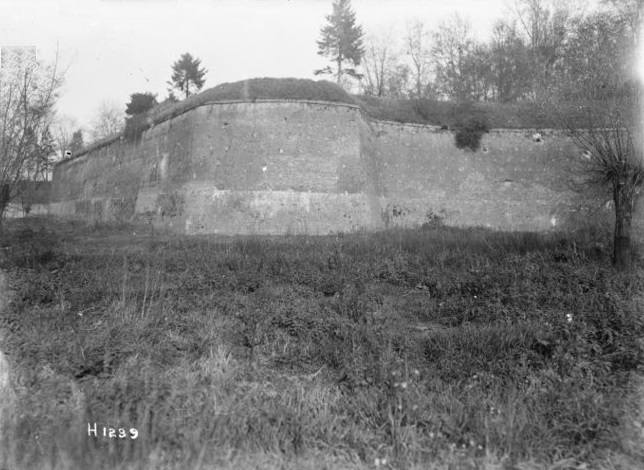 The town had already welcomed Henry’s eldest brother, William Henry, in March of the same year. 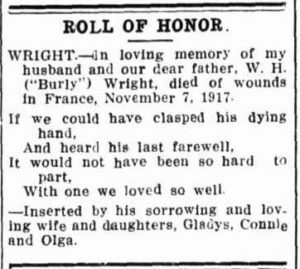 It must have been a bitter sweet moment for his parents, who had lost Henry’s twin brother Frederick in June 1917. 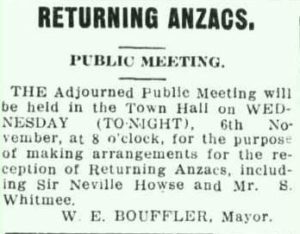 Henry snr and Annie Peppernell had farewelled three of their boys to the Great War. William Henry, their eldest, had enlisted in November 1915 and then the twin brothers Frederick and Henry enlisted at Liverpool on 17 January 1916 at the age of 23 years and 2 months. They joined the 30th Battalion on 10 February 1916 and embarked at Sydney via HMAT A72 Beltana on 13 May 1916 bound for England. On 20 August 1916 they marched into France. After the death of Frederick, Henry stayed with the 30th Battalion where he was appointed to the rank of Lance Corporal in Belgium on 17 January 1918. When this unit was disbanded in April 1918 Henry was taken on strength to the 33rd Battalion. On 23 August 1918 Henry sustained a gunshot wound to his head and was taken to the Casualty Clearing Station. He rejoined his until the following month. By December 1918 illness had struck Henry, his military record is not clear as to the cause. He was transferred back to England where he spent 22 days in hospital and then on convalescent training at Sutton Veny, England, until April 1919. He returned to Australia via Konigin-Luise on 21 June 1919 and was discharged from the Army on 9 February 1920. In 1923 Henry Peppernell married Myrlie Reid at Cowra and from electoral rolls the family moved to Belmore in Sydney. Henry’s occupation is given as a railway employee. It is not known how many children they had. Henry Peppernell died in November 1977, his funeral notice in the Sydney Morning Herald on 27 November 1977 states that he was cremated at Rookwood Crematorium on that day. His wife Myrlie died in 1983. Lance Corporal Henry Peppernell No 534, 30th/36th Battalion Australian Infantry Forces is remembered on the Kerr’s Creek Honour Roll and the Australian War Memorial’s Nominal Roll.